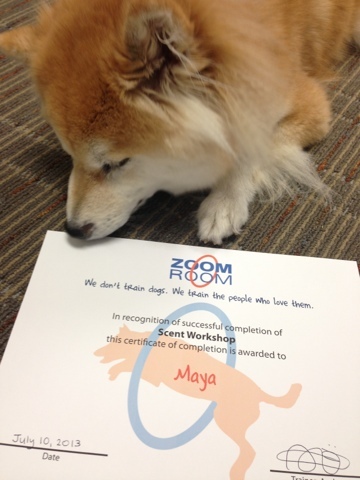 Maya and I attended a six-week Scent Workshop at Zoom Room Belmont since early June. It is an introductory class for K9 Nosework. 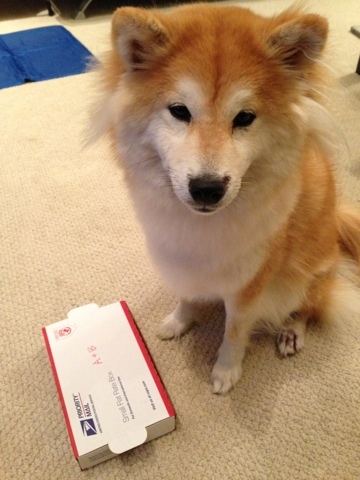 We started by putting treats in boxes and let the dogs find them and eat from the boxes. Then we added the scents we want to teach them to recognize, anise and birch, in the boxes with treats. After a few rounds of practice, the treats got removed and instead the handlers reward them by putting the treats in the boxes after they sniffed. They also learned how to properly alert the handlers when the scent is found. At first, we let them just open up the box and take out the treats on their own. Then we asked them to "sit" as soon as they sniffed the boxes. Eventually, they should sit next to the boxes on their own as soon as they discover the right scent. It took Maya a while to understand the idea of sitting since she had some bad habits of pawing at the box from a different scent game I taught her a while ago. I was very proud that she finally got it and really knew to skip the boxes that had nothing in them. During the last class, we removed the boxes all together and started to hide cotton swaps with the scents around the classroom. All dogs were a bit confused, but Maya did find the one attached to a key chain and sat nicely next to it. I should probably start applying some scent to my key chain and let her help me find it! Overall, it's a great introductory class for those interested in Nosework. 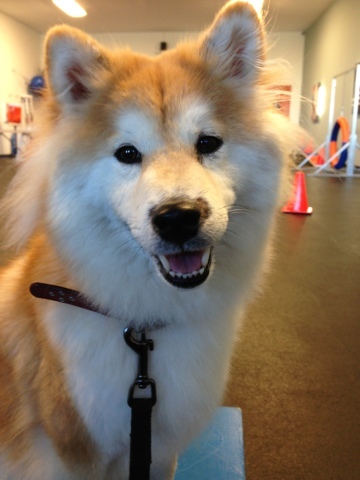 It's a great activity for dogs of any age or activity level. It would be great if they can offer an advanced class sometime in the future, since we feel like wanting more.